09-03-2019, 10:03 - v9958 problem - how much different sprite colors possible? 09-03-2019, 08:14 - v9958 problem - how much different sprite colors possible? 01-01-2019, 01:49 - Happy New Year! 20-09-2018, 15:56 - New japanese productions for MSX? 20-09-2018, 01:07 - New japanese productions for MSX? 10-09-2018, 22:47 - New japanese productions for MSX? 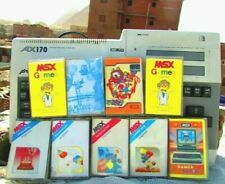 11-08-2018, 02:13 - Why low interest in V9938 / MSX2+ Software?